of Alexandria Exhibition within 26th Alexandria Biennale for Mediterranean Countries 2014. •Antique Design Gallery Georgia (USA) 2014. • International Workshop Image of the World (IMAGO MUNDI) organized by Sarenco Italian Foundation , (Atelier of Alexandria) 2014. • Youth saloon exhibition -Alexandria Atelier (The first prize in sculpture) 2014. • Plastic Art competition 2014. • Exhibition of line coast in Jesuit 2014. • Exhibition portrait (Atelier of Alexandria) 2014. • Exhibition atelier Saloon (Artists and writers group) (Prize of sculpture) 2014. 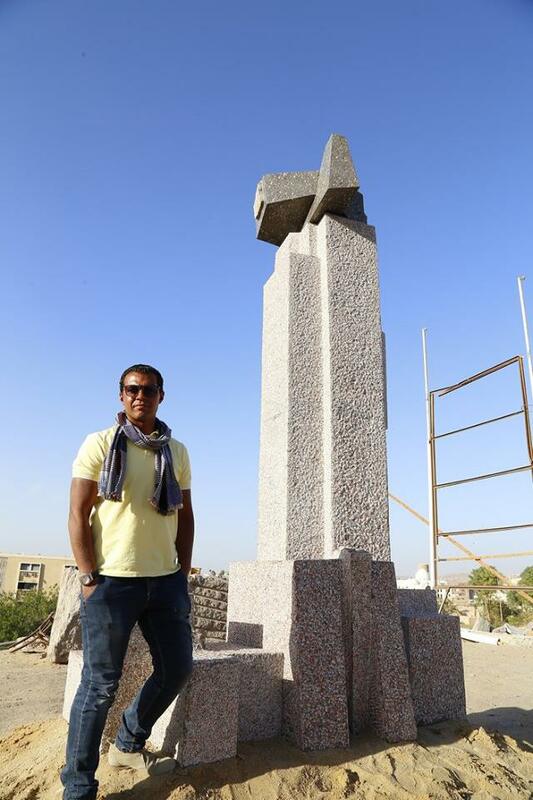 • Aswan international sculpture symposium 2013. • Exhibition Alexandria sculpture forum (Syndicate of Plastic Arts) 2013. •Agenda Exhibition Alexandria Bibliotheca 2012 .